Catch the progressive folk sounds of Three For Silver at McMenamins Thursday. 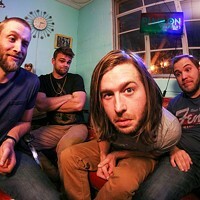 Lucas Warford has lived in Portland for about 10 years, witnessing a variety of creative and talented people come and go from his band, Three For Silver. While he says Portland is a whirlpool of creative forces, he also feels disconnected from the city's music scene. Three For Silver plays what some people would describe as vintage, progressive folk music. The band has fans in the region, but does even better elsewhere. One way the band spends time: participating in cultural events hosted by the U.S. Department of State—events put on by U.S. consulates and embassies all over the world, giving musicians opportunities to visit, perform and engage with international audiences. Three For Silver recently returned from several weeks in Bulgaria. The band also spent three weeks in Russia, with one more trip lined up for next year. "It's very challenging for an American band that isn't very famous to get to Russia and tour there," Warford says. "When we go there, we go into schools, go on the radio and on TV. We did it about three years ago for the first time and it's been inspirational for us. It's been very surprising and rewarding, leading to places I never thought I would travel to, let alone perform in. "I think it's a shame that more people don't know about it, especially with everything that's going on with the government these days. They are bringing over artists to other countries. Nobody I've talked to is even aware of, or they didn't realize the government did that." For Warford, playing live is the reason the band members do what they do. For other bands, creating and recording in the studio may play into their "why," but for Warford and Three For Silver, performing live is everything. "We're keeping music common and at a high level," Warford says. "We're not dependent on computers or electronics—we prefer to play without loops or anything. I like to stretch the boundaries of what we're capable of doing." Warford plays his songs over 200 times a year for live audiences, performing some of the songs thousands of times over the years. If the audience is excited to hear a certain tune, Warford says it feels like the first time he's ever played it, in the best possible way. Warford has deep, raspy vocals that provide a welcome juxtaposition to the sweet vocals of bandmate Willo Sertain. The band combines vintage sounds created by the standup bass, accordion and mandolin, among other traditional American instruments. 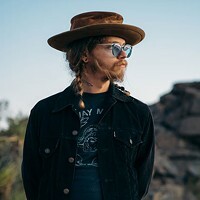 "Now that we've kind of arrived at a point where it seems most bands hope to get to this point, it seems very intentional," Warford says of the band's sound. "Like we woke up one morning and said, 'This is the kind of music that we want to make,' and it was set in stone. In reality, the story is much more boring. We've been following our inspiration over the years and it tends to lead to dark sounds and places, but it's not limited by that—especially on our latest album." 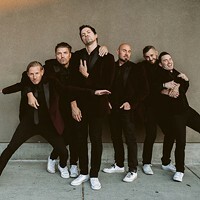 Three For Silver released a new song called "Get Low" in July, with plans for a new album early in 2019. The band hasn't begun recording sessions yet, but they're sitting on a large number of songs. In terms of how the album will sound, listening to "Get Low" probably won't give you any hints, as they have no clue what the new album will sound like. Warford did admit that while people may be attracted to the way he plays bass, he spends the most time on lyrics, citing that as his biggest passion.